1660s The Hornbook. A wooden paddle with a printed lesson on it, the hornbook was as high-tech as colonial schools got. Its name comes from a thin, transparent sheet of “horn” that protected the text. 1870 The Magic Lantern. 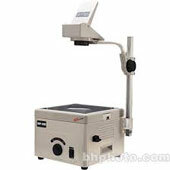 Primitive version of an overhead projector, it projected images from a glass plate onto a wall in a darkened room. Popular with Victorians as home entertainment, the magic lantern was also used in schools. 1900 Pencil and paper. First mass-produced in the late 19th century, the pencil was the dominant educational tool for generations. 1940 The mimeograph. A hand-cranked machine made copies of homework sheets and quizzes to distribute to students. Cousin of the ditto machine. 1970 The hand-held calculator. Slow to be adopted by teachers, calculators eventually move into schools. 1960s-1980s Computers arrive in school front offices and counselors’ offices in the 1960s. In the mid-1970s, early personal computers appear in classrooms. In the 1980s, computer-aided instruction gains acceptance. By 1990, the CD-ROM arrives. 1982 Time magazine names “The Computer” its “Machine of the Year.” The computer’s role in society takes off. 1990s The Internet, born as an academic research network in the 1960s, goes mainstream. The World Wide Web is created in 1989. Commercial internet providers start in the early 1990s. Web pages become a must for schools and businesses. 1993 Tracking begins. The New Jersey Department of Education begins tracking technology in schools. The statewide student-to-computer ratio was 15:1. By 2002, the student-to-multimedia computer ratio drops to 4.4-1. 1997 Net Day. Billed as an “electronic barn-raising,” a nationwide drive urges volunteers to wire school buildings for the internet. New Jersey schools from Lebanon Township to Trenton take part. 2002 Technology use is part of daily learning. The NJDOE 2002 Technology Survey finds 89.7 percent of classrooms have internet access; 94.7 percent of schools have websites; 81 percent of teachers have intermediate- or higher-level tech skills. 2004 Social media. Facebook arrives in 2004, Twitter in 2007. The first school district asks NJSBA for a social media policy in 2006. NJSBA develops electronic communication policy for school staff in 2009. 2010 iPads. The now-ubiquitous tablet is introduced in 2010. BYOD – Bring Your Own Device – is a new buzzword, as schools tap into students’ own smartphones and tablets as learning tools. 2015-2016 Computers and digital learning have transformed education. Computer-based standardized assessments are given in New Jersey. Report cards and homework assignments are online; school closings and notices are “blasted” to parents via text and Twitter; “hashtags” are a way of life. Jeanette Rundquist is NJSBA’s communications officer. SOURCES: New Jersey Department of Education; educatorstechnology.com; Purdue University; California State University, Long Beach.